Law Web: Whether service of summons on advocate of party is proper service? Whether service of summons on advocate of party is proper service? Any process served on the pleader who has been duly appointed to act in the Court for any party or left at the office or ordinary residence of such pleader, and whether the same is for the personal appearance of the party or not, shall be presumed to be duly communicated and made known to the party whom the pleader represents, and, unless the Court otherwise directs, shall be as effectual for all purposes as if the same had been given to or served on the party in person. Admittedly the contesting Respondents were duly served and recorded also in the roznama accordingly. The parties represented through their Advocates. The vakalatnama, therefore, once filed by the Advocate and/or if the Advocate appears on behalf of the respective parties, the vakalatnama cannot be dissected and/or treated for filing only for Notice of Motion and not for any other proceedings. Considering the provisions so recorded above once the party appears through his Advocate and due vakalatnama is filed, it is for all the proceedings. Therefore, to say that a separate summons required to be served to the Respondents/Defendants is unacceptable. No fresh service of writ of summons is contemplated in such circumstances. The Advocate's appearance, not permitted for want of specific provision and/or instruction for a part of the proceeding arising out of the suit. The vakalatnama cannot be conditional and restricted to any part of the proceedings. The learned Judge, therefore, in my view, wrong in dismissing the Suit for want of service of writ of summons. The filing of vakalatnama and/or appearance of the parties through Advocate, in my view, amounts to service of summons for all the purposes. The time to file written statement within 30 days, from the date of appearance/service of summons, in given facts and circumstances, requires to be considered by the Court basically when the Suit was not registered for want of delay and/or for other such circumstances. The submission that the fresh writ of summons should be served even after service of summons and though parties appeared through Advocate in Notice of Motion and/or interim application, is unacceptable as that would cause great injustice and hardship to the Plaintiff and/or the parties one who has already served the Defendants/other parties though at the interim stage and/or Notice of Motion stage. There is no question of issuing fresh notice and/or multiple notices and/or services of warrant of summons at every stage of the pending legal proceedings. There is no provisions for engaging an Advocate in respect of each and every stage of the proceeding separately. Neither it is contemplated in any of the provisions so quoted above. 1. Rule, returnable forthwith. Heard finally by consent. The Appellant, original Plaintiff, being aggrieved by Order dated 6 May 2011, whereby his Notice of Motion and the Suit are dismissed for want of service of summons. 2. In the suit against the Respondents (Defendants), the Appellant had taken out Notice of Motion No. 1334 of 2009 for a grant of necessary ad-interim relief. All the proceedings were duly served. Defendants had appeared through an Advocate. The appearance caused by the Defendants was not restricted to the Notice of Motion as the same was required to be considered as an appearance in the suit. Since the Defendants have duly appeared in the matter and had been served with the proceedings, there was no necessity for service of writ of summons again. The Sheriff report shows that all the necessary steps were taken for the purpose of service of writ of summons. However, the learned trial Judge dismissed the Notice of Motion and the Suit, for non service of writ of summons. The Appellant took out necessary Notice of Motion for restoration of the suit. The same also dismissed by the impugned order. Defts 1 to 3 are duly served with N/M on 18/4/11 & 27/4/11 reply. However Deft 1 has not filed reply, Deft 2 & 3 absented, hence N/m to proceed without reply of Deft 1 & ex-part in respect of Deft 2 & 3. N/m No. 844/11 has been re-lodged by the Adv of Plff after registration. Deft 1 & Defts 2 & 3 are duly served with writ of summons on 28/2/11 & 27/4/11 reply r/o today. Heard holding adv. Of plff. The plff has prayed for setting aside dismissal order of suit dtd 22/3/11. The suit came to be dismissed due to failure of the plff to serve W. sum to the Defts. After having had given direction thereto on 17/1/11 & 21/2/11. In the affidavit filed in support of the N/M, it is highlighted that appearance of advs of parties does not require service of W/sum hence, on this background suit came to be dismissed. Therefore N/m deserves to be allowed. The above said evidence found to be of no help to set aside the order of dismissal of. No sufficient grounds made out to set aside the above order. Hence N/m no. 844/11 is dismissed. 51 Summons to defendant. - The summons to a defendant to appear and answer shall be in one of the Forms Nos. 3, 4 and 5 with such variations as the circumstances of the case may require. 51A Name and address of the Advocate to be stated in every process. - The name and address of the Advocate appearing for a party shall be stated in every writ of summons, witness summons, Notice of Motion, Chamber Summons, notice, or warrant, and every process of the Court issued at his instance or taken by him. 56 Undertaking by Advocate.- A writ of summons need not be served on a defendant personally, if he has appeared and if his Advocate undertakes in writing to accept service. 59 Notice of written statement in summons when called for. - When a written statement shall be called for from a defendant in the first instance, notice to that effect shall be given in the margin of the writ of summons calling on the defendant within four weeks from the service thereof (unless the Judge shall otherwise order) to file his written statement and serve a copy thereof on the plaintiff or his Advocate. 60 Judgment for want of written statement. -Application for judgment for want of written statement shall be made by motion on notice to the opposite party, but no such motion shall be made before the date on which the summons is returnable. On the filing of an affidavit of service of the notice of motion, the suit shall be set down on the daily board for the purpose of such application. This rule shall not apply to commercial causes which shall be governed by rule 118. Provided further that where the defendant fails to file the written statement within the said period of thirty day, he shall be allowed to file the same on such other days as may be specified by the Court, for reasons to be recorded in writing, but which shall not be later than ninety days from the date of service of summons. (c) by pleader accompanied by some person able to answer all such questions. (3) Every such summons shall be signed by the Judge or such officer as he appoints, and shall be sealed with the seal of the court. 6. Fixing day for appearance of defendant:- The day under sub-rule (1) of rule 1 shall be fixed with reference to the current business of the court; the place of residence of the defendant and the time necessary for the service of the summons; and the day shall be so fixed as to allow the defendant sufficient time to enable him to appear and answer on such day. 10. Mode of service:- Service of the summons shall be made by delivering or tendering a copy thereof signed by the Judge or such officer as he appoints in this behalf, and sealed with the seal of the court. 16. Person served to sign acknowledgement:- Where the serving officer delivers or tenders a copy of the summons to the defendant personally, or to an agent or other person on his behalf, he shall require the signature of the person to whom the copy is so delivered or tendered to an acknowledgement of service endorsed on the original summons. (1) Processes served on the recognised agent of a party shall be as effectual as if the same had been served on the party in person, unless the Court otherwise directs. (2) The provisions for the service of process on a party to a suit shall apply to the service of process on his recognised agent. (1) No pleader shall act for any person in any Court, unless he has been appointed for the purpose by such person by a document in writing signed by such person or by his recognised agent or by some other person duly authorised by or under a power-of-attorney to make such appointment. (2) Every such appointment shall be filed in Court and shall, for the purposes of Sub-rule (1), be deemed to be in force until determined with the leave of the Court by a writing signed by the client or the pleader, as the case may be, and filed in Court, or until the client or the pleader dies, or until all proceedings in the suit are ended so far as regards the client. 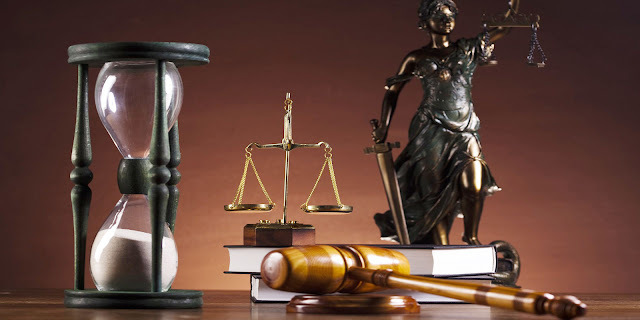 (d) any application or act for the purpose of obtaining copies of documents or return of documents produced or filed in the suit or of obtaining refund of moneys paid into the Court in connection with the suit. (b) as authorising service on the pleader of any notice or document issued by any Court other than the Court for which the pleader was engaged, except where such service was expressly agreed to by the client in the document referred to in Sub-rule (1). (4) The High Court may, by general order, direct that, where the person by whom a pleader is appointed is unable to write his name, his mark upon the document appointing the pleader shall be attested by such person and in such manner as may be specified by the order. Provided that nothing in this sub-rule shall apply to any pleader engaged to plead on behalf of any party by any other pleader who has been duly appointed to act in Court on behalf of such party. 7. Order VIII Rule 1 deals with the filing of a written statement of the Defendant within prescribed period of 30 days and/or extended period, as specified by the Court. 8. For service of summons to the Defendant and/or for appearance of the Defendants Chapter III of the Civil Manual issued by the High Court of Judicature Appellate Side Bombay for the Guidance of the Civil Courts and Officers Subordinate to it, is also relevant. (d) In a summary suit, the Court, while ordering the issuance of the summons, should mention that the summons should be issued in Form No. 4, Appendix B and the copy of the plaint along with the copies of the documents on which the plaintiff relies and filed along with the plaint be sent to the defendant. No specific date for return of the summons should be given. 34. Rules as to service of summons are contained in Rules 9 to 30 of Order V. Care should be taken to see that bailiffs follow those rules as well as the instructions given in the Bailiffs Manual. 9. Admittedly the contesting Respondents were duly served and recorded also in the roznama accordingly. The parties represented through their Advocates. The vakalatnama, therefore, once filed by the Advocate and/or if the Advocate appears on behalf of the respective parties, the vakalatnama cannot be dissected and/or treated for filing only for Notice of Motion and not for any other proceedings. Considering the provisions so recorded above once the party appears through his Advocate and due vakalatnama is filed, it is for all the proceedings. Therefore, to say that a separate summons required to be served to the Respondents/Defendants is unacceptable. No fresh service of writ of summons is contemplated in such circumstances. The Advocate's appearance, not permitted for want of specific provision and/or instruction for a part of the proceeding arising out of the suit. The vakalatnama cannot be conditional and restricted to any part of the proceedings. The learned Judge, therefore, in my view, wrong in dismissing the Suit for want of service of writ of summons. 10. The Appellant filed Notice of Motion in question to recall order dated 22.03.2011 and to restore the Suit to its original file and prayed to decide the same on its own merits. The learned Judge, without giving sufficient reason in view of the above provisions of law and facts, by unreasoned order, dismissed the Notice of Motion; so also the Suit. 11. The filing of vakalatnama and/or appearance of the parties through Advocate, in my view, amounts to service of summons for all the purposes. The time to file written statement within 30 days, from the date of appearance/service of summons, in given facts and circumstances, requires to be considered by the Court basically when the Suit was not registered for want of delay and/or for other such circumstances. The submission that the fresh writ of summons should be served even after service of summons and though parties appeared through Advocate in Notice of Motion and/or interim application, is unacceptable as that would cause great injustice and hardship to the Plaintiff and/or the parties one who has already served the Defendants/other parties though at the interim stage and/or Notice of Motion stage. There is no question of issuing fresh notice and/or multiple notices and/or services of warrant of summons at every stage of the pending legal proceedings. There is no provisions for engaging an Advocate in respect of each and every stage of the proceeding separately. Neither it is contemplated in any of the provisions so quoted above. Therefore, in the interest of justice, the present Appeal from Order is allowed. Impugned order dated 6 May 2011 is quashed and set aside. The Notice of Motion is allowed. The Suit is restored to file. The learned trial Judge to consider the case in accordance with law. There shall be no order as to costs.